Innokin Endura T18 Review: It’s Cute and Colourful, but Can the T18 Deliver a Good Vape? We’ll begin our Innokin Endura T18 review by stating the obvious—this is a great looking device. However, if you have been vaping for some time and have grown used to blowing some pretty big clouds it won’t be for you. 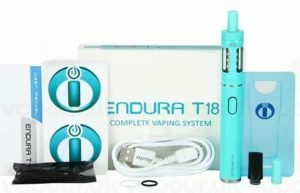 The Innokin Endura T18 is mouth to lung vape pen that is better suited to people who are looking for a good way to make the the switch from smoking to vaping. Having said that, it’s fair to say big clouds are not for everyone. Many seasoned vaping enthusiasts are happy to continue vaping mouth to lung. 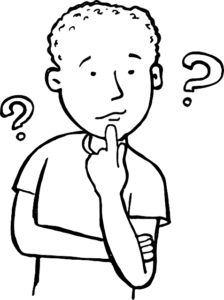 If this is you, the T18 could be the perfect choice the next time you are looking to buy a new vaporizer. If you are a beginner, the Innokin Endura T18 won’t be overly complicated for you to use. The Prisim coils are a breeze to intall and the e-liquid tank is easy to fill and refill from the top. The device also has a handy battery life indicator, so you won’t be left guessing about how much charge you have left. If the indicator is green you’ve got a lot of vaping left to do before you go flat. Amber is still pretty good, but when it turns red you need to be thinking about a recharge. However, if you want to continue vaping while charging, the Innokin Endura T18 can do it, so there is no need for any frustrated moments when you are powering up your pen. No Innokin Endura T18 review would be complete without a brief mention of the dimensions and, as far as size goes, the T18 is small enough to pop into a pocket or purse. If you are presently a smoker, you will no doubt be worried abut the “draw”. This is understandable and you will be glad to learn a lot of Innokin Endura T18 users state the draw is impossible to distinquish from that of a normal tobacco cigarette. As far as coil life goes, you should be looking at a month at the very least and the 2.5ml tank volume should be big enough to last for a day or more. Innokin has been trading since 2011 and has a reputation for producing high quality products that have a stylish look and are built to go the distance. The company claims they produce the “most advanced vaporizers in the world”. That’s kind of a hard claim to prove, but bearing in mind the amount of satisfied customers they have accrued, their vaping devices are obviously way ahead of the game and are going to take some beating. It’s not possible to purchase directly from the manufacturer, but you can buy an Innokin Endura T18E Vape Pen Starter Kit from several online suppliers, including Vapour UK, and the colour choices are black, pink, steel, or aquamarine. Buying from Amazon is also an option and, if you are looking for the best price, Amazon price Amazon is generally the way to go. At the time of our Innokin Endura T18 review, the Vapour UK price was £27.99. The Amazon price was £20-£25. Is the Innokin Endura T18 Vaporizer Worth the Money? The Innokin Endura T18 is certainly worth the money. It’s a quality vaporizer made by a respected company and the price is very reasonable. Most important of all, it has excellent customer reviews. Although looks aren’t everything, it has to be said the Innokin Endura T18 is a very stylish piece of kit that looks good no matter what colours it’s flying. If you’re going to vape, you might as well do it in style and this particular vaporizer will help you to do it. Is there a downside to this product? Not really. A zip case would have been a nice extra many customers may have appreciated, but it’s not essential and would have almost certainly pushed up the price. The Innokin Endura T18 is a quality device that should be a perfect choice for anyone who is new to vaping or favours mouth to lung type vape experience. If you are looking for a small device that can deliver bigger clouds, you may be better off taking a look at a good box mod, but if you are simply looking for a quality, good looking device that help you quit smoking cigarettes, cigars, or other tobacco products, you would be hard pushed to find a better option than the Innokin Endura T18.